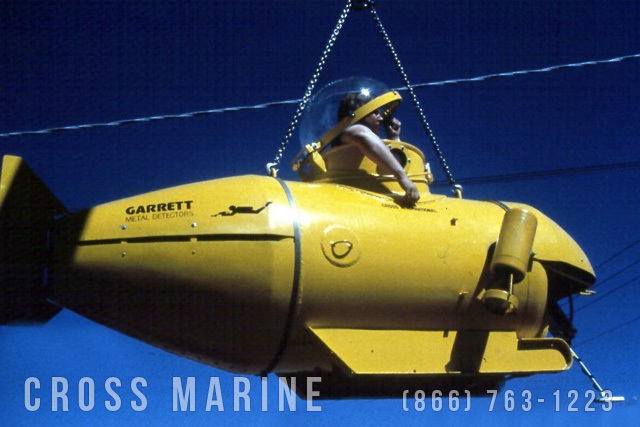 A small submarine used during marine salvage and search and rescue operations. 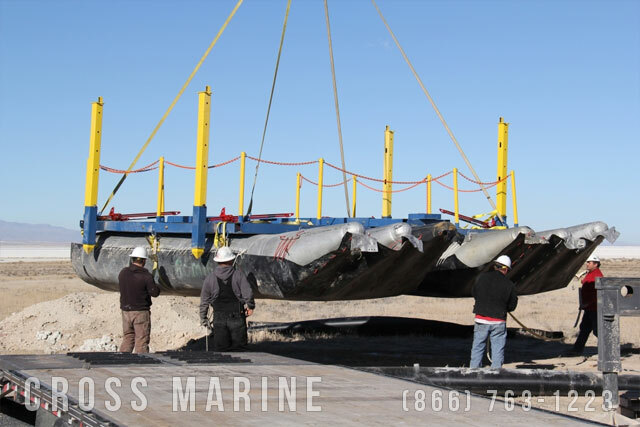 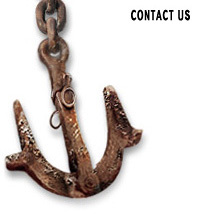 Cross Marine’s shallow water work platform is drafts little water and is capable of supporting a variety of equipment such as commercial diving stations, drilling rigs, salvage debris, and other marine services equipment. 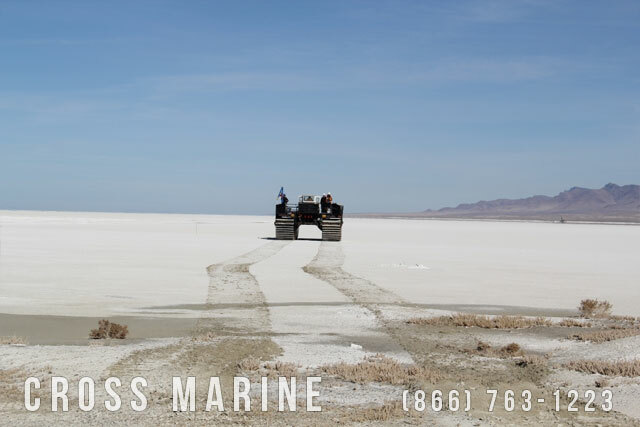 Cross Marine’s all-terrain work vehicles provide crew and equipment access to remote marine locations inaccessible to boats and land vehicles. 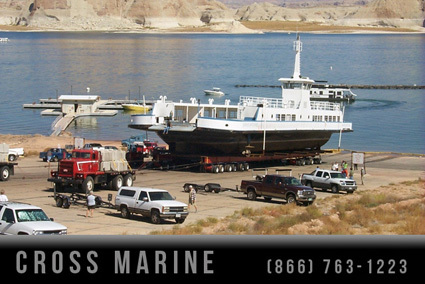 One of our vehicles is pictured transporting several crew members to a remote drilling site surrounded by mud and shallow water.